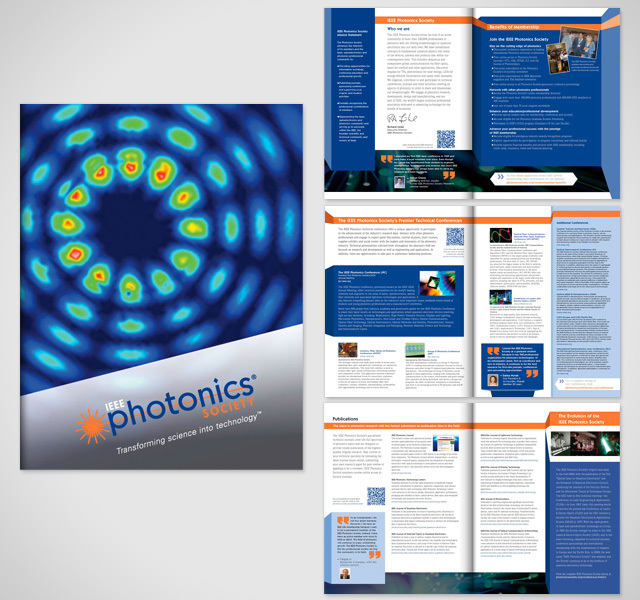 The IEEE Photonics Society (IPS) published its first ever membership brochure as part of a larger rebrand in 2012. The IPS wanted to attract more new graduates and draw attention to the many benefits membership into the distinguished society offers. This 6-page brochure incoroporates the new branding through color, fonts and modern feel. It also adds a personal connetion to by including quotes from members.